A winter walk through the snow covered countryside is great fun for adults and children alike. The Kids Scandic Cap from Jack Wolfskin is guaranteed to keep your little outdoor fan's head nice and warm. 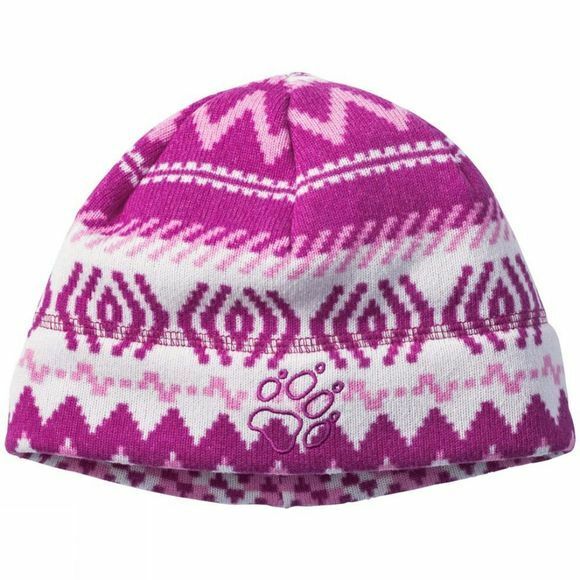 And with its cool Norwegian pattern it looks great, too.This trendy winter hat is made of one of our warmest fleece fabrics. The soft, brushed reverse side is kind to the skin and hair.